Don’t let the space age curves fool you, this is one of the most ergonomically form fitting “blades of last resort” you will ever handle. 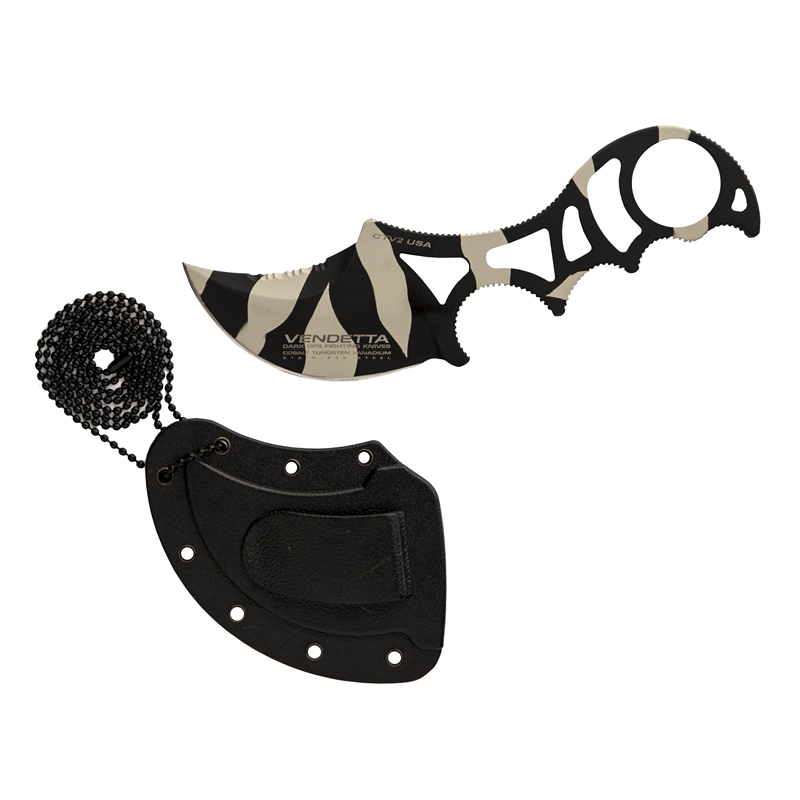 Usable in the smallest and largest hands, and possibly the only neck knife in the world deployable in the reverse grip. Used properly it can generate the last earthly sensation a terrorist feels on a quick trip to the hereafter. A PanicPortTM through-hole in the tail of the integrated tang allows positive sheath removal even with 85% of the knife concealed in the ankle and forearm modes. A deep index finger notch provides secure grip and astonishing leverage, and multiple deep finger grooves allow for the secure positioning of the middle, ring and pinky fingers. The Knife is skeletonized for weight reduction, but has small enough cutouts to not trap fingers under duress. The Through-hole in the handle allows for a positive finger through control for secure grip when hands are cold and prevents the knife from being taken away in defensive moves. 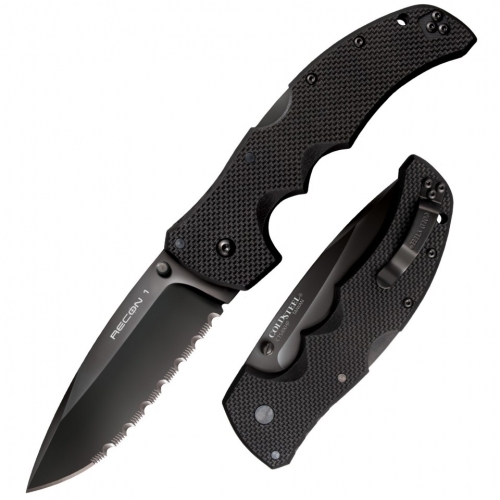 Built of Dark Ops legendary CTV2 Steel, but with a fractionally higher stainless content and treated with a Titanium Carbonitride coating, the knife is impervious to body sweat and humidity associated with on-the-body concealed knives. A DEEP! hollow grind yields a razor cutting edge. A broader flat grind with serrations on the top edge is used for heavy duty occupational cutting work. Heavy grip notching covers the entire contact circumference for added grip tenacity. All user contact surfaces are polished smoothed and heavily beveled to prevent snags in deployment. Lethal, concealable. May be illegal in certain jurisdictions. Intended for Military & Law Enforcement & EMS professionals only. Total Length: 6.75 in. Weight: 3.8 oz. Blade Thickness: .185 nom Blade Steel: CTV2 Stainless Steel-Desert Shark Finish Sheath Configuration: Neck, Ankle and Forearm Carry.